Lila's a HUGE hit at school run! 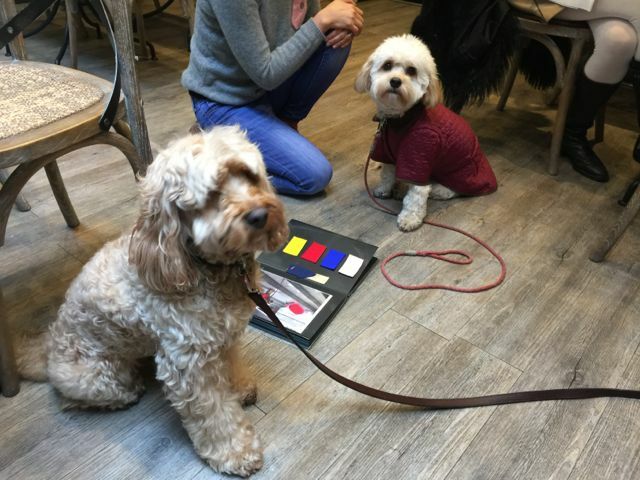 Her best friend, Alfie, looked a bit cross that she’s getting all the admiration! LOL! 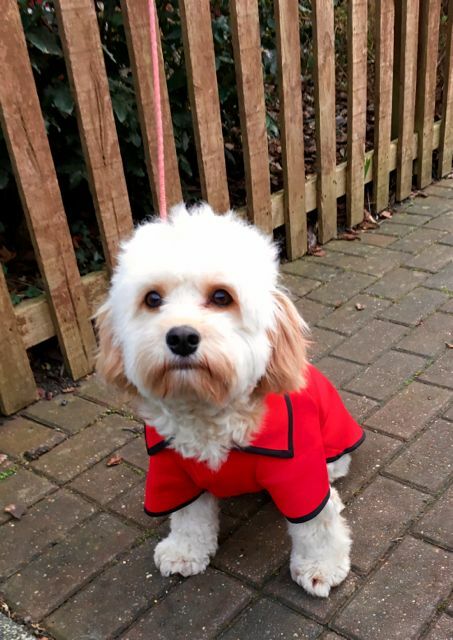 A couple of weeks ago Lila’s mummy, Sandra got in touch with us and asked to have one of our coats made for Lila. We arranged to meet in Notting Hill as that is half way between where Lila lives and us. 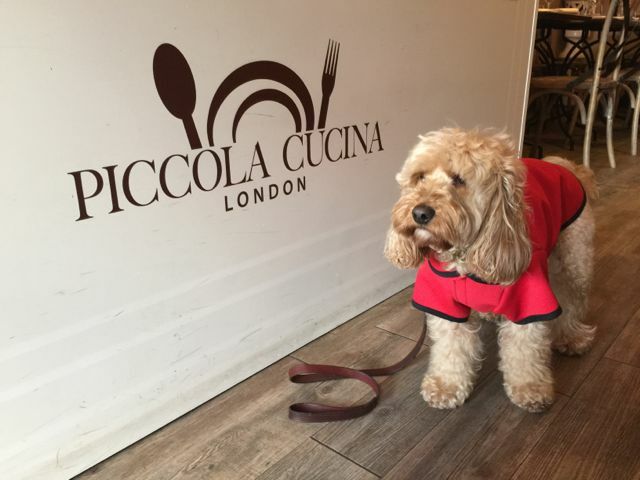 We met at Piccola Cucina and I modelled my red neoprene for her mummy to see. 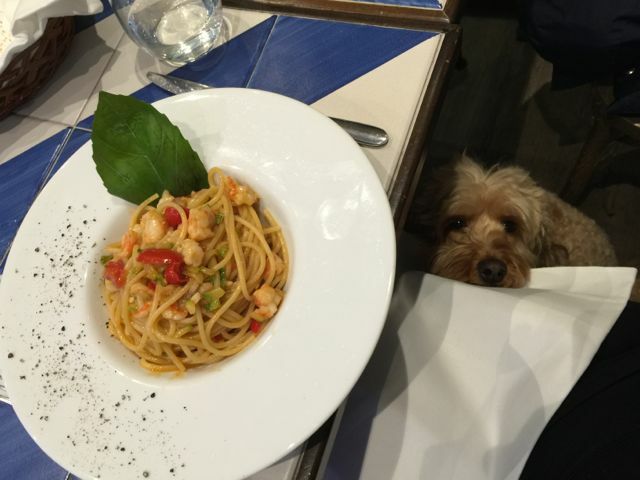 If you haven’t figured it out yet, Picola Cucina is yet another Italian dog-friendly restaurant. We were there first and waited for Lila to arrive. 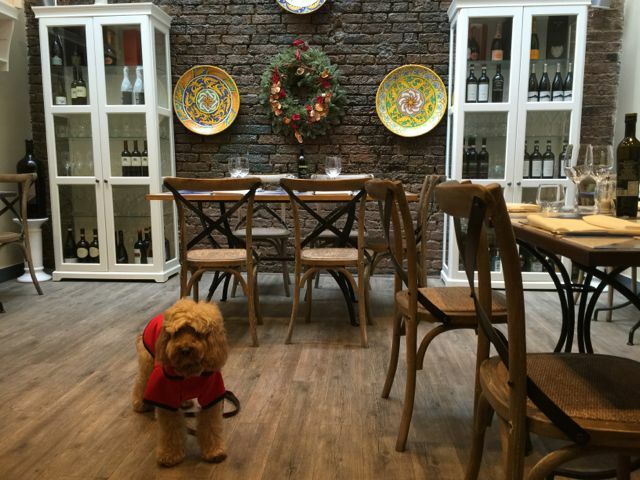 Then I saw this white fluff-ball entering the restaurant and yes, it was Lila. 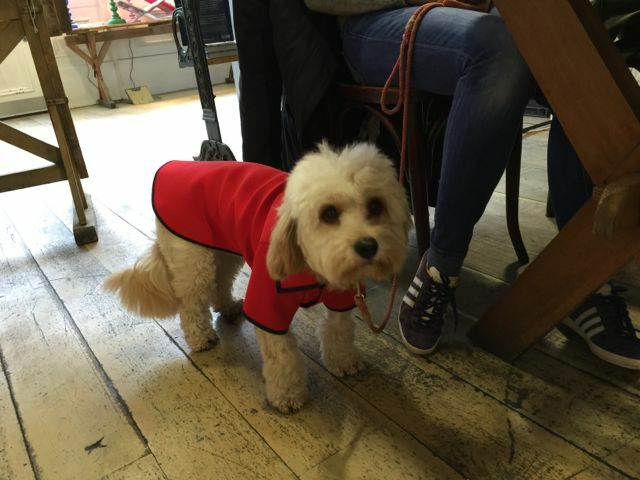 We gave her a prototype coat to try on for size and even though she looks smaller than me, she wears my size! 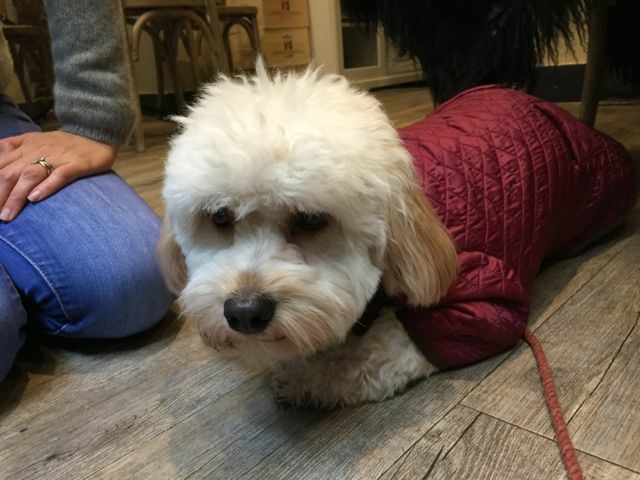 Looking good, Lila! But they decided to stick to the red neoprene as it’s a happy colour for a girl! Two weeks later, it was George’s turn to meet Lila. 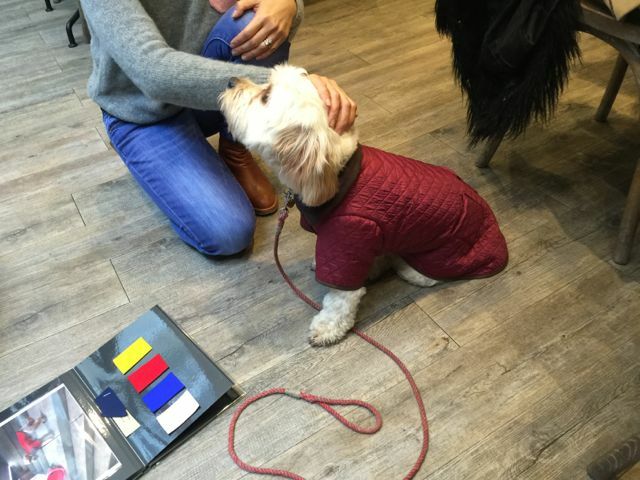 Mummy and George went back to Notting Hill, this time at 202 Westbourne Grove – and Lila tried on her new coat. It fitted perfectly though she didn’t look too happy in it! LOL! 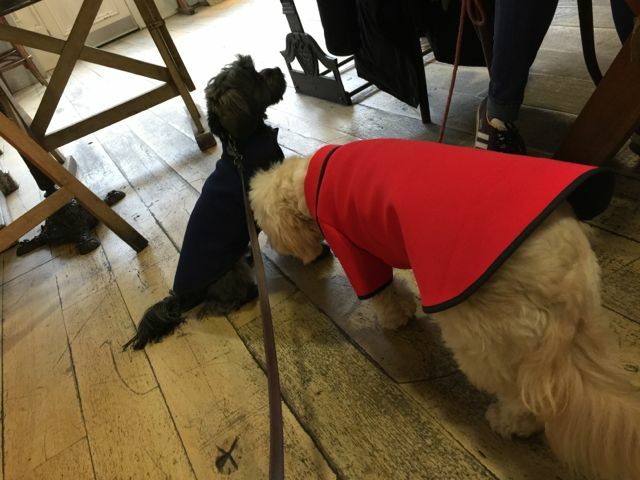 Our range of coats is a hobby business that we’re happy to oblige – only because we love them. They are made to measure. 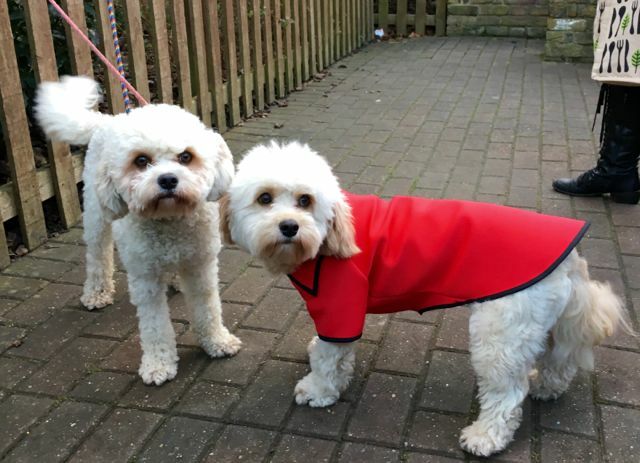 Their point of difference, they cover the dog’s underbelly to keep them clean from walking the wet streets of London. So May, where can I get one of these? How much are they? What’s the texture like? Does it make a noise? Merlin would freak out if he had to wear something that rustled.